Fender's American Deluxe V String Jazz Bass guitar delivers the modern features that bassists demand in a sleek five-string design. An innovative designed preamp circuit delivers exhilarating active and passive tone, and powerful-yet-quiet N3 Noiseless pickups present more clean headroom and EQ range than ever, effortlessly handling the low B string with impeccable tone and seismic power. The punchiness is managed by an active 3-band EQ, and the electronics can be toggled between active and passive, letting you choose which voice best suits your playing style.Other features include a compound radius fretboard and asymmetrical neck profile for fast action and silky-smooth playability all the way up the neck, and classic Jazz Bass block fretboard inlays and binding. 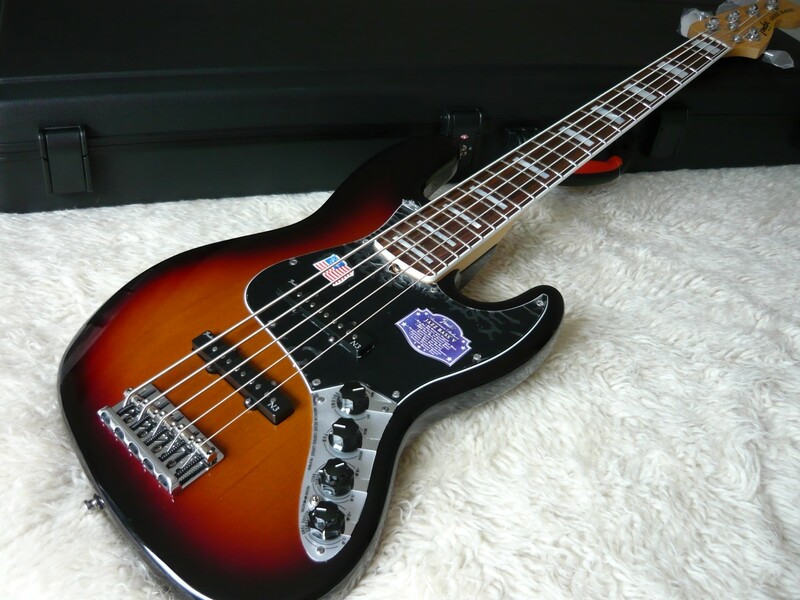 FENDER Jazz Bass was born out of the desire for a sleeker, faster bass that pushed its sound further out in front. Tonally more versatile than the Precision Bass, the Jazz Bass's dual-pickup setup gave players more choices, making the Jazz Bass a great bass for genre hopping. The American Deluxe Jazz Bass V builds on the 50 years of Jazz Bass vibe, adding cool new touches to this classic tone machine. Includes Fender hard case and all case candy that comes from the factory.